Is It Time to Reconsider the ARM? Right after the mortgage meltdown, adjustable rate mortgages were vilified far and wide. You couldn't find anyone, anywhere, recommending an ARM. Now, though, some are saying that ARMs have had a bad rap. After all, the ARMs that were especially devastating were those with extra low teaser rates, or interest-only ARMs that featured large balloon payments. While no one thinks that those types of ARMs are a good idea now, there is some talk that it might be time to consider more “traditional” ARMs — especially with rates that can be below 3%, depending on the type of ARM you sign up for. During the heady days running up to the mortgage market crash and financial crisis, many people decided on ARMs because it allowed them to “afford” the payments on a home that they really couldn't afford at all. These ARMs were sometimes structured so that no equity was built in the home, and a balloon payment (to make up for the fact that no principal was paid during a specified period) was practically unaffordable. To get around this problem, many mortgage lenders told borrowers they could refinance before rates re-set, and before balloon payments had to be made. Unfortunately, with no equity, and falling home values, refinance was out of reach for many, and we ended up with the mortgage market implosion. Today, though, mortgage lenders are more cautious — and borrowers are, too. And this is the sort of climate in which an ARM might work out. Indeed, my parents recently refinanced their home to an ARM. It is an ARM with a rate that re-sets every year, depending on market rates. Since they got the loan two years ago, their rate has lowered each year as mortgage rates have fallen. This has worked out well for them, allowing them to accelerate their mortgage repayment, since they pay the same amount every month, regardless of the rate. So, as the rate falls, more of their payment goes to principal. There are other types of ARMs that are a little more reasonable as well. There are ARMs that come with an initial fixed-rate period. You could choose a fixed-rate period of three, five, seven or 10 years. The advantage of these types of ARMs comes in if you think you might move soon. You could choose a five-year ARM, with a rate of less than 3%, and take advantage of the low mortgage rate. 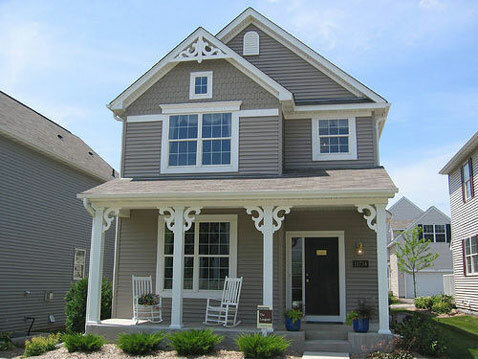 Then, when you move in four or five years, you sell the home before the rate re-sets. A carefully chosen ARM can also help you in terms of refinancing to a fixed rate later. Choose a hybrid ARM with a longer fixed-rate period — seven to 10 years — and you can make significant strides in building equity as a larger portion of your monthly payment reduces the principal. Then, if you decide to refinance to a fixed rate at the end of the period, you should have significant equity built up, making the process a little easier. An ARM isn't for everyone. However, when used properly, an ARM can save some homeowners quite a bit, and help them build equity to boot. Buying a new car requires planning and forethought. I am against leases and “zero-down” offers; these teaser promotions offer no benefit to you, but plenty of benefits for the dealerships. Dealers add an astounding amount of interest payable over the life of the car loan, mitigating any savings from an introductory promotion. Many people seem conditioned to believe that as soon as they pay off one auto loan, they need to buy a new car. This kind of thinking leads to unnecessary debt, and it's why so many people end up with an upside down car loan. I reached the age of 35 before I experienced life without a car payment – a dream come true. Once I stopped writing a monthly check for $300, I started building my savings. Today, I am still driving the car that I paid off eleven years ago, and I can pay for my next car with cash. You too can significantly improve your financial situation, and save for your next car purchase by saving $300 each month. Even after I paid off my car, I kept the mindset that I still had to make the $300 monthly car payment. I placed the $300 surplus into an investment account, earning 4% interest. The total return on my monthly deposit, which I made for seven years, was substantial. It takes a great deal of discipline to take “found money” and place it into a savings or investment account. When I have additional money available after paying off any type of loan, I don't think of the money as “found” or “extra” income. Instead, I continue to pay all or a portion of the monthly loan payments into a savings or investment account, to save for big purchases, and for my future. For this to work, you have to begin depositing the loan amounts into a savings account immediately after paying off a loan. Otherwise, the money will get swallowed up by your other expenses. One month before you pay off the loan, set up the savings or investment account. When you make the final loan payment, set up an automatic transfer for the monthly loan amount. This “payment” should go from your checking account directly into your savings or investment account each month. This way, you can continue to budget around the monthly debit, and save money, without risking the reallocation of the funds. Once you can afford to buy a new car, begin researching your purchase. You can do most of your research online before you visit any car lots. Seriously consider whether you really want or need a brand new car, and review options for used cars. Contact dealers via the Internet to ask questions and to eliminate some trips to dealerships. You should know the exact make and model of the car you want to buy before visiting any dealerships. Research dealership pricing online to have a base idea for the sale price of the car you want to buy. Lastly, consider actually buying a car online. You can buy cars from eBay Motors, and many dealerships have Internet sales managers. You can often negotiate a better price online, and when you complete the online deal, you can pick up your car. Also consider buying a used car from an individual instead of buying from a dealership. The dealerships inflate prices, so you can often find a better deal when you buy directly from a person. If you have reservations about buying a used car, buy a model that is still under manufacturer's warranty and have a trusted mechanic check out the car for any potential problems or issues. Make short-term sacrifices to save for a big purchase. For example, I love going to baseball games. Buying tickets for a ballgame, paying to park, and purchasing refreshments can cost over $100. When I commit to saving for any major purchase, I forgo baseball games for six months, or until I reach my goal. However, if I wanted to save $5,000 to buy a car, I would have to do more than just give up baseball for a season. What could I do to save $5,000 in twelve months? Stop going to baseball games for one season, for a total savings of $500. Stop buying new clothes for one year, a savings of $50 a month, for a total savings of $600. Reduce my satellite TV package by $20 per month for 12 months, for a total savings of $240. Downgrade my current Internet service for six months, for a total savings of $240. Continue to make my monthly $300 “car payment” after paying off the loan for my current vehicle, for a total savings of $3,600. If I continue to make my $300 “car payment” for one year, stop going to baseball games, stop buying new clothes, and cut back on my satellite TV and Internet services, I could save up to $5,180 by the end of the year, plus interest. Remember, short-term sacrifices don't have to be permanent. Keep your end goal in mind, and focus on the benefits of saving while you try to save for a new car. I paid my car off eleven years ago. If my car dies tomorrow, I can easily replace it with my savings. I planned carefully, saved money through various means, and made short-term sacrifices. Now, I am in a position to buy a new car with cash. 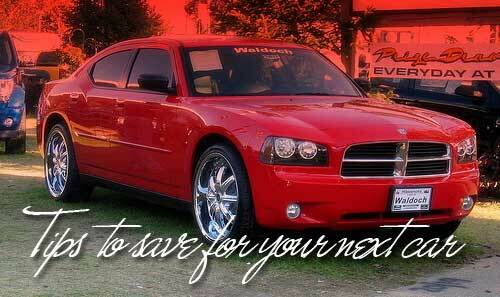 By utilizing some of these tips, you can save enough money to buy a new car. What other ideas do you have to add to your car fund? David Bakke writes about his life and money topics on Money Crashers, a personal finance blog focused on helping readers better manage their money and grow wealthy. What’s Next For Employer-Sponsored, Tax-Advantaged Retirement Accounts? Everyone seems rather focused on the deficit right now. This isn't surprising, considering the fact that we have a serious budget crisis brewing in the U.S. However, a lot of the plans to “fix” the problem involve getting rid of tax incentives for the people who need them most. One of the issues on the table is getting rid of some of the tax advantages associated with employer-sponsored retirement accounts. One of the ways that some lawmakers hope to improve revenue is to stop providing the ability to contribute to employer-sponsored retirement accounts with pre-tax dollars. Another plan is a cap on the combined employer/employee contribution limit, reducing it to the lesser amount of $20,000 a year, or 20% of income. (Currently, the corresponding amounts are $49,000 a year and 100% income.) There are different suggestions as to how to change the tax advantages associated with retirement contributions, but all them have the possible effect of reducing the amount workers set aside for retirement. Additionally, there are concerns that reducing the tax benefits that employers get for setting up these retirement plans would have the effect of reducing the number of plans even available. Employers are already feeling the pinch from the rising costs of health care benefits. They might not be so willing to continue offering retirement plans if the tax incentives to do so began disappearing. Would You Still Contribute To A Retirement Account Without The Tax Benefit? Already, there are concerns that Americans aren't saving enough for retirement — and that's with fairly decent tax benefits to do so. What happens when that incentive goes away? If you thought the retirement savings rate in America was bad already, just wait until there's no reason to sock money away in a tax-advantaged retirement account. Any number of suggestions are being floated as ways to reduce spending and boost tax revenue. This means that there are a number of tax deductions and credits on the table, many of them affecting individuals and businesses. From retirement account contributions, to the mortgage interest deduction, you could soon see some of your tax breaks disappearing. This means that you will need to plan for the possibility. Decide what's important to you, and what you can handle without the tax break. Hopefully, you will decide that it's still important to make contributions to your retirement account, even if there is no tax break associated with it. 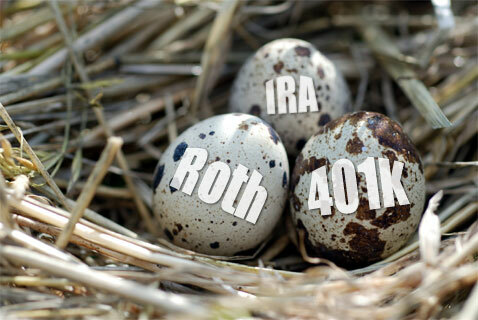 In the past we've talked about which retirement accounts are best for different situations, and we looked at reasons why you might want to invest in a Roth IRA, 401k, Roth 401k or A Traditional IRA. Depending on your age, your income, your current and future tax situations and a variety of other factors, you may want to look at investing in one or several of these account types. At our house we love the fact that the Roth IRA is done with post-tax dollars because it means that we'll never have to pay taxes on the contributions or earnings. On the other hand, Who knows what our tax situation will be in retirement versus now – so it pays to do a bit of retirement account diversification. So we're investing in a Roth account as well as in our 401k. This week the IRS came out with the adjusted pension plan limitations for 2012, so I thought I'd take a look at some of the changes in the 401k rules, regulations and contribution limits. How Did The 401(k) Start? A 401(k) is a type of retirement savings account in the United States, which takes its name from subsection 401(k) of the Internal Revenue Code. 401(k)s were first widely adopted as retirement plans for American workers, beginning in the 1980s. The 401(k) emerged as an alternative to the traditional retirement pension, which was paid by employers. Employer contributions with the 401(k) can vary, but in general the 401(k) had the effect of shifting the burden for retirement savings to workers themselves. In 2011, about 60% of American households nearing retirement age have 401(k)-type accounts. In 2011 the 401k contribution limits remain unchanged from 2010 and the limit of $16,500 remained in place . This year there was a cost of living adjustment to the 401k contribution limits, and people who use or have 401(k), 403(b), 457 and the government's Thrift Savings Plan saw an increase of $500 to the limit. That means that next year you can contribute up to $17,000 in your account. Here is a look at the maximum yearly contribution for the 401k account type every year since 2007. Since 2007 we've seen an increase of $1500 to contribution limits. Since there was an increase for 2012, I wouldn't expect to see one for next year. If you're 50 years or older by the end of 2012, you can make catch up contributions to your 401k account. Not all plans allow for this, but if yours does, you can make an additional contribution of $5,500 on top of the $17,000 limit, for a total of $22,500. Here are the 401k catch-up contribution limits for 2012. There are separate contribution limits for employers in case they decide to add to your account. Currently an employer can make a contribution of up to 6% of the employee's salary. Do Employer Matching Contributions Affect Your Limit? If you're employer is giving contributions or matching contributions, will those contributions count against your limit? Thankfully it doesn't, as the employer contribution limit is a separate limit. Example: If someone makes $100,000 in pre-tax compensation, and they and their employer both contribute the maximum, they could have $17,000 contributed by the employee, and $6,000 by the employer for a total of $23,000. If they're over 50 they could also make catch up contributions for a total of $28,500. There are other things you may need to consider with your company's 401(k) plan. For example, if you're a highly compensated individual at your company you may be subject to separate contribution limits. Some plans may allow you to make post tax contributions to your account. Currently the max you can contribute to a 401(k) plan in 2012 is $50,000 or 100% of your compensation, whichever is less. Are you currently contributing to a 401(k) plan through your work? Are you contributing to the maximum? Do you get a company match? Tell us what you think about the limits, and if you'll be able to reach them. Last year congress passed a bill that empowered the Fed to cap the fees large banks charge retailers for debit card transactions. As a result, big banks have lost a significant source of revenue and have responded by increasing the fees they charge their customers. By now you have probably heard all the commotion caused by Bank of America’s announcement that they will begin charging a $5 monthly fee to all their debit card customers. The fee will go into effect in the new year and it’s reported that other big banks will soon follow. While changing banks is one way to avoid the newly imposed fee, there is nothing preventing your new bank from adding a debit card fee, too. One way to beat the fee is to adopt a cash only policy. This method of money management has been around since the beginning of time and some think it’s the best way to manage your money. The financial guru’s we know and love like Suze Orman and Dave Ramsey both have stated time and time again that using cash is better than using any sort of plastic. There are no interest charges and sometimes just seeing your money leave your wallet is enough to keep your spending in check. While some think credit cards are just plain evil, there are may perks to paying for your purchases with a credit card. For one, you can avoid the Bank of America fee and you can also save yourself some money if you use a cash back credit card. Getting the most out of your card requires being responsible with your spending habits and always paying your balance off each month. You can also build your credit with a credit card and many cards offer warranty programs to protect your purchases. Prepaid cards tend to get a bad wrap. They have a reputation of catering to people with bad credit and those who can’t obtain a traditional bank account. It appears the times are changing and now people of all credit ranges are using prepaid cards as a way to manage their spending. 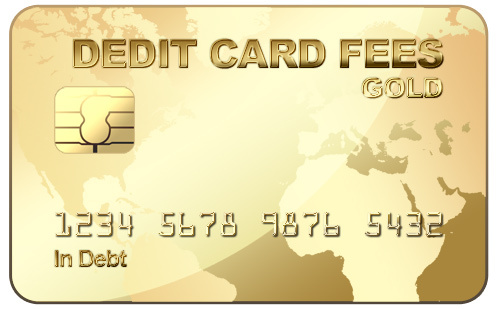 Prepaid cards require the user to load money to the card before making a purchase. As a result, the account can’t be over-drafted because you can only spend the amount on the card. Some of the best prepaid cards come with no or limited fees. And because prepaid cards were excluded from the Fed’s action on debit cards, it’s unlikely that banks will starting increasing the fees on these cards. Some people swear by Credit Union’s because frequently they offer lower rates and have a tendency to give more personable service than the big banks. Credit Unions are also able to avoid some of the red tape with their long time customers which makes borrowing a much simpler process. They provide many of the same services banks provide, but often with no fees or significantly lower fees. This is a guest post from Michal who is a senior editor at Dough Roller and Credit Card Offers IQ. One of the biggest decisions you have to make as you approach retirement is when you want to begin taking your Social Security benefits. Indeed, this is an important consideration. For the most part, it depends a great deal on what you think your cash flow needs will be as you age. Do You Need the Cash Now? Or Can You Wait? You can start pulling on benefits at age 62. However, if you start taking benefits as soon as you can, your monthly payments will be lower than if you wait. Indeed, your payments will only be 75% of what you would get if you wait until age 66 (which is considered the “full” retirement age by the government). And, if you can wait even longer — to age 70 — you see an increase of benefits by 8% each year between 66 and 70. There is no additional benefit for waiting beyond age 70. Understand, though, that you aren't necessarily getting “more” in the sense that your overall total will be higher. Instead, the formula is worked out so that you should have roughly the same benefits over time if you start, no matter when you start taking Social Security, at age 66. The difference is that if you wait longer, the government will offer you a higher monthly payment amount to make up for the fact that you haven't been taking what you could for the past few years. As you decide when to start taking social security benefits, you will need to consider your cash flow situation and any tax implications. If you are 62, and you need the money to help cover shortfalls in your tax advantaged retirement account, you might need the money now — even though you will be penalized for not waiting until the “full” retirement age. If you need the money to help you in your retirement, and you can't find other sources of income to help you, then taking Social Security earlier might be your only option. However, if you can wait until later, it might be worth it. Later on, your expenses might increase as your health declines (and costs rise), or as your retirement fund starts to run a little lower. Being able to wait until later and receive more each month might be very helpful. If you can keep working in between, earning income and paying into the system, your benefit will increase as well. This can be a great help to you later on, when you might want a larger monthly income. Before you decide when to start taking Social Security, you need to consider your situation, and what you expect in the coming years. In some cases, you might be worried that benefits will be cut due to economic concerns and problems with the federal budget; in that case it might make sense to start receiving payments as soon as you can, in order to get what you can. However, if you expect that you will receive your benefits as promised, you need to look at your situation. How much can you expect from various revenue streams, and your retirement accounts, and for how long can you expect to keep up the income pace? You should plan to take Social Security when it will most help your monthly cash flow.